We have different Types of Amplifiers. 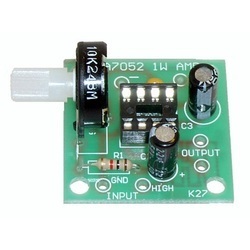 LED Indicator Power,DC 12V LED, DC8.4V, RF1/RF2,Mode,USB,SD,Play, Stereo. 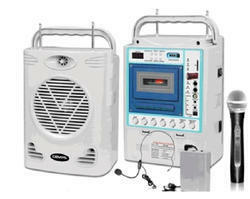 Portable PA Wireless Amplifier which is easy to carry out. 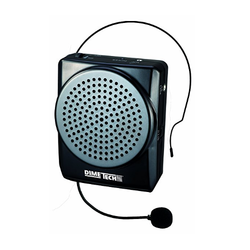 Waistband Voice Amplifier is designed to meet the customer's requirement, our customers can avail these benefits at a reasonable price. 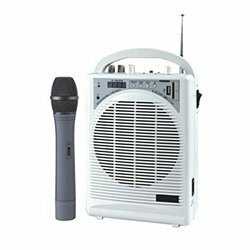 The Focus Waistband Voice Amplifier is a high volume, low feedback personal voice amplifier that is great for teachers, speakers, and anyone whose voice needs a boost. We, Corporate Concepts Infra Private Limited, was established in 2012, is counted amongst the renowned & trusted names in supplying an exclusive range of audiovisual products and technology solutions for educational institutions and corporates. Our group of dedicated employees is constantly working towards the satisfaction of our customer. Our office is located in T Nagar, Chennai. We are happy to inform you that Corporate Concepts Infra Pvt Ltd has been appointed as sole distributor for Specktron and Aver range of products for the entire state of Tamilnadu. We have always believed in delivering quality products to our clients. We are a technology savvy company, who constantly strives to deliver the best. We have authorised reseller for Smart Interactive range of products for education, Interactive whiteboards with teaching contents, LCD/DLP/LED projectors and accessories, audio podiums, visual presenters, wireless amplifiers, waistband amplifiers, display panels, speakers and amplifiers in South India.